Who was best, the Doctor or Christie? 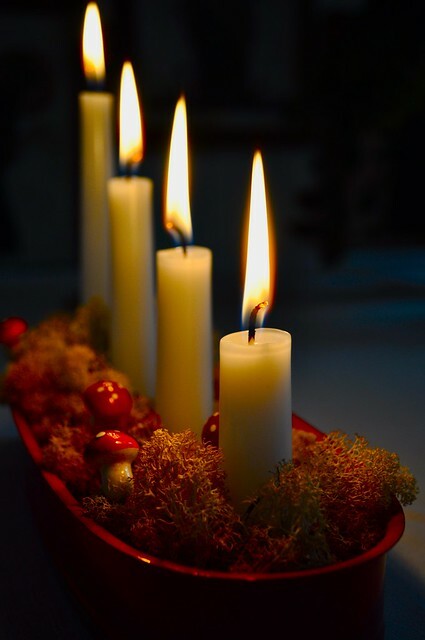 Doctoring your Agatha Christie… I wish they hadn’t. I didn’t initially remember* the original Witness for the Prosecution, but I gather the BBC added the odd thing at the end, and even when you don’t know the plot intimately, it was pretty obvious that someone had been allowed to go crazy. And I don’t mean the murderer or his unfortunate solicitor. Or even the sad victim who wasn’t the murderer after all. The first half of this Agatha Christie short story was good and even a little enjoyable, bar the coughing from Toby Jones. Even the beginning of the second half was all right and the plot went in the expected direction. The falsely accused murderer and his ‘wife’ were both excellent. But I did hate the coughing. On the other hand, it was illuminating seeing the importance of good health care and how you can be virtually brought back from the almost dead. Unless you have been murdered. 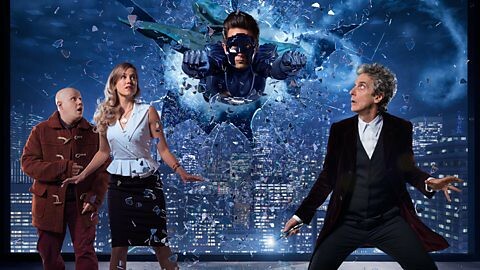 Doctor Who, on the other hand, was a delight from beginning to end. I know people who hated it, but you need to keep in mind that Doctor Who is a programme for children, not adults. Doesn’t stop quite a few of us from liking it, though. Superheroes, what’s not to like? The baby was a bit weird, but it was the babysitter we had an interest in. And his (her?) mother. Matt Lucas was fine, but I really didn’t grasp his role in all of this. Maybe his task was to look a bit odd and make a few funny comments? But you know, the Doctor was expected, as he hung upside down outside the boy’s bedroom window. We all expect a visit from an unknown older male at Christmas, don’t we? I had just about forgotten that we’d not had the Doctor round for the past year. But I’m ready for him now. *It all came back to me after a while. The 1957 film was much better. And I also now recall trying to get my hands on the book, in Swedish translation, for a friend. It was impossible. I was at the back of a very long queue. We left our builders to their own devices and disappeared off for Sunday lunch out today. Son and Dodo were visiting for the weekend and had hinted that a meal out would be nice. (I trust it’s not my cooking?) 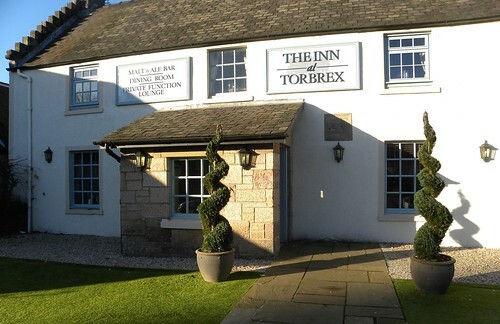 As usual, Son had money off deals going, and we chose between two old feeding grounds, deciding on Torbrex Inn. It’s conveniently close and getting there is literally a walk in the park. This is such a rare thing nowadays that you should grab the opportunity to have a pleasant walk instead of always getting in the car. The Resident IT Consultant was pleased to have an opportunity to order turkey, while Son and I both had the nut roast. Smoked and deep fried cheese for starters was good, as were the puddings. The others had Christmas pudding – obviously – while I grappled with a very nice cheesecake, and ended up not being able to eat all of it. Nicely presented food, and friendly serving staff. Clean pub surroundings with just the right amount of tasteful Christmas decorations, and a furry white cat outside. And then a walk home again, allowing us to feel we could walk off some of those calories. Ten, maybe even twenty? Really? They flipped their episodes round? You can’t introduce the team to Clayton Reeves now, when Torres was talking to him two weeks ago. The episode before last was the very worst I’ve seen, and that’s saying a lot. What were they thinking? Quinn fantasising about Gibbs, and him letting her? But we all make mistakes, and the Thanksgiving episode was pretty good. Not old good, but passably good. They seem to feel that Bishop should do her relationships in the Thanksgiving episodes. That’s three years in a row, if I’m not mistaken. I liked her brothers, and they had the best line at the end. Made the mistake (see, told you!) of checking what people on Facebook thought. Basically that if they are going to be muslim friendly on NCIS, they will stop watching. So that’s reassuring to know. And it appears the new British Prime Minister is a fan. And then this week we’re back to crap again. Except, if they made the programmes in the opposite order, there is still hope for the post-Thanksgiving one, yet to come. A date for Vance? Well, maybe it’s time. I almost hoped he’d opt for the night security detail. I needed this. Having only heard the soundtrack before, I enjoyed seeing Bing Crosby and David Bowie in this video. Bing, of course, is Christmas for me, even discounting White Christmas. Back in the olden days, when Christmas in the television backwater of Sweden meant that you got old films every day, instead of once a week, somehow Bing was always there with one – or two – of his films. I took a while to appreciate his singing, though. I arrived in Brighton autumn 1977 and noticed that he was appearing at the Brighton Centre a few weeks later. I didn’t go, because he was an old man and I had no interest in that kind of thing. After Brighton he went to Spain to play golf, and died. And then I regretted it, and I have since bought his albums and learned that he was a marvellous singer. The same can be said about David Bowie, it seems. I have to admit to not being a fan, and in most cases if you played me one of his songs, unless so well known that even I knew the title, I’d not have recognised him. If you’re a fan, I apologise for my lack of enthusiasm. Back in the early 1970s when my friends at school loved him, I had no interest in Bowie at all, and I never changed. But this Christmas video helped bring his voice to me. I find that when famous singers sing something completely different to their normal repertoire, you are able to discover their voice for what it is; unfettered by what they usually do. If they are truly good, then that will shine through that ‘other’ song. And this is what happened here, when I encountered Bowie with Bing on social media. I could even see myself trying some regular Bowie now. Any suggestions of where to begin?